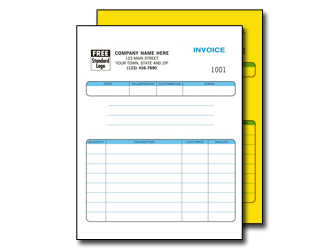 Print custom carbonless forms with your logo and business contact information. Standard ink colors: black, blue, green etc. All our templates are free. Select the appropriate one that fits your industry, upload your own design or request a custom design or changes to an old form. 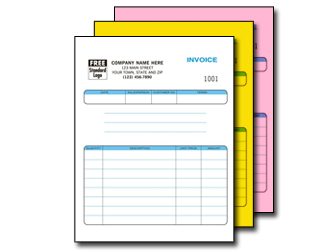 Custom carbonless forms can be used in your office or on the road. 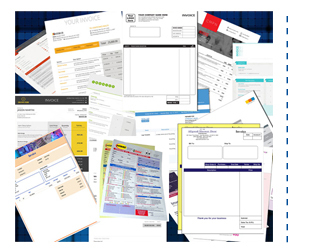 Use our Custom carbobless form printing company for the right template that fit your profession, whether it be automotive, landscaping, hospitality, medical or contractor. We have a form for you. Upload you own design or select on of our pre-designed templates. Multi parts allow you to keep proper records and you have options for 2-parts, 3-parts and 4-parts carbonless forms. Consecutive Numbering is available as needed. DesignsPrint custom carbonless service gives you many options to choose from. When selecting the parts, you can order 2-part NCR sets: white-canary, 3-part NCR sets: white-canary-pink, 4 part NCR sets: white-canary-pink-goldenrod, 5-part NCR sets: white-green-canary-pink-goldenrod. Use one of our free templates or upload your own design. We will send you a proof before printing. 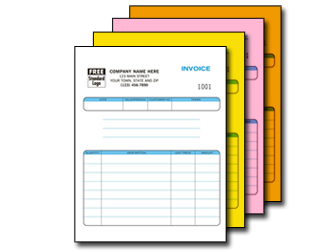 You can print both from and back of the paper in quantities of 100 and more. Carbon copy, you write on the top white paper and it is copied on the secound paper below. Original and customer's copy.